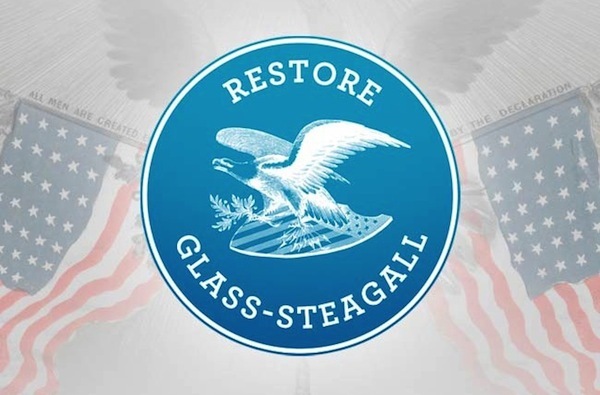 Is it possible that the 1999 repeal of Glass-Steagall may lead to our demise? Do you ever get a sense that the economy is spinning out of control? A lot of us do, and if you do too, you’re probably interested to know why it’s happening. It’s hard to pinpoint a single reason – in reality there are probably several. But one we may pay close attention to is the 1999 repeal of the Glass-Steagall Act. 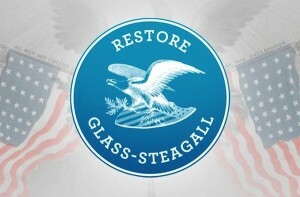 Glass-Steagall was an act passed by the U.S. Congress as the Banking Act in 1933. The country was in the very depths of the Great Depression, and there were bank runs, as more than 5,000 banks went out of business. The act was sponsored by former Treasury Secretary and Senator Carter Glass, and Henry Steagall, Chairman of the House Banking and Currency Committee. It was passed as an emergency measure, and designed to prohibit commercial banks from participating in investment banking. The connection between commercial and investment banking was seen as a major cause for the 1929 stock market crash, and the depression that followed. It was felt that commercial banks were engaging in excessive speculation as a result of the participation in investment banking. With these prohibitions, banks were effectively prevented from participating in investment related activities. This forced them to be far more conservative in their business models, and to protect the interests of depositors. But Glass-Steagall was repealed in 1999. The financial meltdown happened less than a decade later; is there a connection? There were a number of reasons why the act was repealed. It was felt that it limited the income potential of commercial banks, and that it’s repeal would not only improve profitability, but also the overall financial position of the banks. In addition, the act included loopholes that made certain banks non-competitive. For example, the act applied only to Federal Reserve member banks. That meant that state-chartered banks and “non-bank” banks were exempt from its provisions. The repeal of the act was seen as leveling the playing field. The act was also seen as too restrictive on US banks, who needed to compete with growing foreign-based banks that were not subject to the same limitations. In order to compete effectively on an international level, it was thought that American banks needed to be able to fully participate in investment banking functions. Glass-Steagall had to go, and it did. There are different opinions on this topic. Some feel that the repeal was the primary reason for the meltdown, some feel it was a contributing factor, while still others believe that it may have even prevented the crisis from getting worse. My own thinking is that the repeal of Glass-Steagall had a significant negative impact on the financial meltdown. The move of commercial banks into investment banking was instrumental in turning financial instruments into commodities that can be bought and sold like stocks. This included debt securities and all kinds of derivatives. It’s not to say that the repeal of Glass-Steagall caused the development of the securities, but rather that it definitely accelerated the process – and no good came out of it. I was in the mortgage business in the early 2000’s, so I can tell you what was playing out at the ground level. All kinds of “innovative” mortgage “products” were rolling out on the market. This included no income verification loans, zero down mortgages, and a rapid expansion in the number of sub-prime lending programs. All loan types that no bank would lend on if the funds were coming out of their own vault. All of these vehicles contributed to the mortgage meltdown that ultimately led to the financial crisis. When a bank can originate a mortgage, then promptly sell it in the form of collateralized debt obligations, it has little interest in the transaction other than to create a debt security, collect the fee, then pass it on to the next party. The ability to do that made it easier to engage in reckless lending – largely through the creation of loan programs designed for people who cannot afford repayment. This led to an explosion in the amount of mortgage debt in existence, and fat fees for the banks. While it’s true that everyone in the process had a hand in it, the reality is that reckless mortgage lending would never increase to the levels it did, were it not being facilitated by large banks automating the process into a trillion dollar business. The repeal of Glass-Steagall enabled banks to create new, untested and very risky debt securities, and to make huge profits while passing the risk onto individuals, pension funds and even foreign governments – the ultimate investors in all of the bad paper. The creation of trillions of dollars in debt securities – not only for mortgages, but in other sectors as well – lead both real estate prices and stock markets to unsustainable levels. Prices were driven up by what ultimately proved to be phantom wealth, until both sectors crashed. When they did, individuals saw their financial fortunes crumble, and with it their ability to repay their loans. The dominos were falling. Ultimately, the causes of the financial meltdown – including the repeal of Glass-Steagall – have never been remedied. I think we’re likely to see a repeat of the financial meltdown, and quite possibly one that will be significantly worse. So many individuals, businesses, and entire regions and industries are still struggling to survive in the aftermath of the meltdown. Another financial crisis of equal or greater intensity will bring them all down, along with an army of new victims. What do you think? How much of the financial crisis do you think was caused by the repeal of Glass-Steagall? And what do you think is likely to happen going forward?